Has your garage become a catchall of stuff that is slowly pushing your car out? 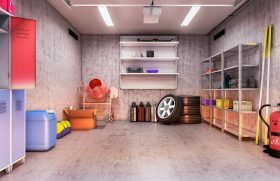 Decluttering your garage can open-up valuable storage space for your vehicles or provide a functional space to engage in activities and hobbies. Before contacting a Bay Area self storage company, read these tips on decluttering your garage.